This booklet gives great information to make your travel experience a successful one for all. This booklet provides the faith community with information about autism and how to welcome families who want to share in church/synagogue activities. Food, medical assistance and financial help. Start here to determine eligibility and apply for help. Medicaid: Apply through ACCESS Florida (above) or automatic Medicaid for a child with a disability with SSI eligibility. begin here to start the application process for SSI and SSI-based Medicaid. Apply through APD for various services, including the Home and Community-Based Services Waiver for Persons with Developmental Disabilities. A printable application form and map to locate your local office can be found under the Customers link. 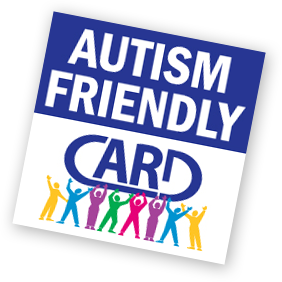 Local businesses and organizations have developed a variety of visual supports for individuals with autism as part of their 'Autism Fits' business partnership with CARD.